The Dassault Rafale is a French twin-engined delta-wing multi-role fighter aircraft which designed and built by Dassault Aviation. principally to replace French Air Force SEPECAT Jaguars and French Navy F-8 Crusaders. First flight on 4 July 1986, The first production aircraft Rafale flew for the first time 04 December 1998 and was delivered to the French Air Force. Rafale family contain 3 difference Versions. 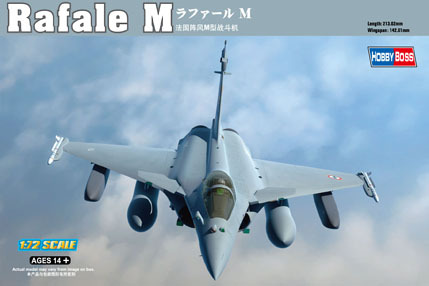 Rafale M Single-seat carrier fighter for the French Navy The Rafale M, a single-seater designed for seaborne use, carries the same weapon and navigation system. Its airframe has been designed for aircraft-carriers but retains most of the elements of the other versions.